First impressions. 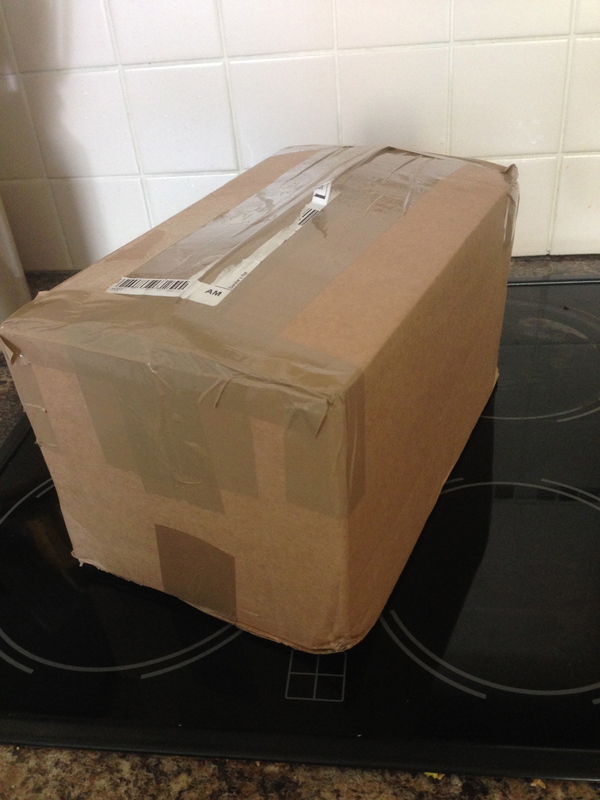 Panic at the small size of the parcel! Eek is that ALL I’m having for 3 days? 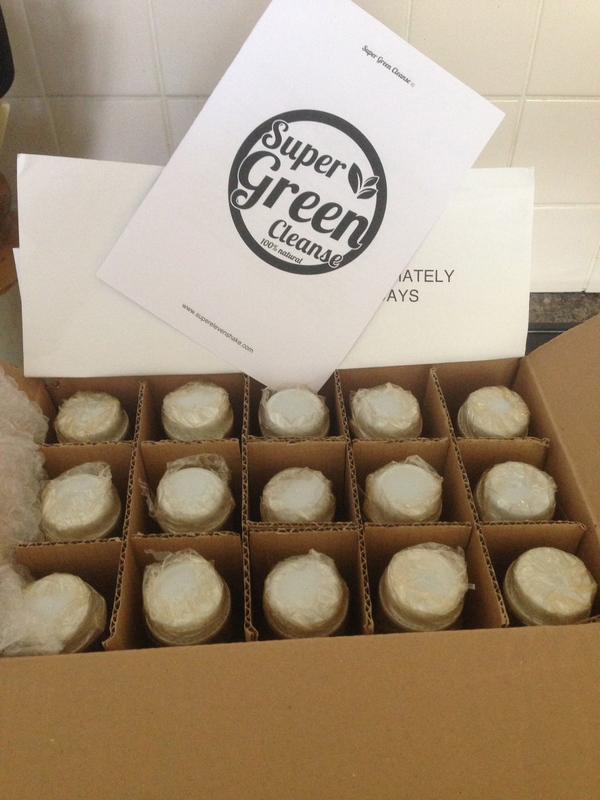 15 well packaged bottles with uber amounts of sellotape around the lid of each are in their own little compartments. There’s a small amount of bubble wrap around the bottles. Fortunately as this box is delivered by courier I suspect it hasn’t been out of their fridges for long and each bottle is just below room temperature. There’s a leaflet in the box explaining what is in each bottle, when to drink and what to do for maximum results during the 3-day cleanse. I’m quite sure ‘newbies’ to juices and cleansing would be horrified by the bland greenness of the juices and the ‘gunk’ at the bottom of each bottle. However, for me, this lifts my spirits. I’ve missed green juices and I’ve missed seeds! Despite it being mid-morning, I’d only had hot water with lemon so far so decide to start the cleanse straight away. My initial taste of the juices told me it was melon juice! How odd… but super tasty. Even with lots of vigorous shaking before opening the juice I’m aware that the seeds are gathered at the bottom of the bottle. A little water added, another swirl of the bottle and I got them. Obviously a little to learn about drinking this concoction but by the end of the 3 days I’ve mastered it. Was I hungry during the cleanse? Sometimes but I know it’s just in my head. I managed to keep on top of drinking lots of water as well as the juices which helps. Did I get congested? The seeds and ‘gunk’ have helped with the fibre aspect of juicing too (TMI?). Would I do it again? Yes but not at full price. 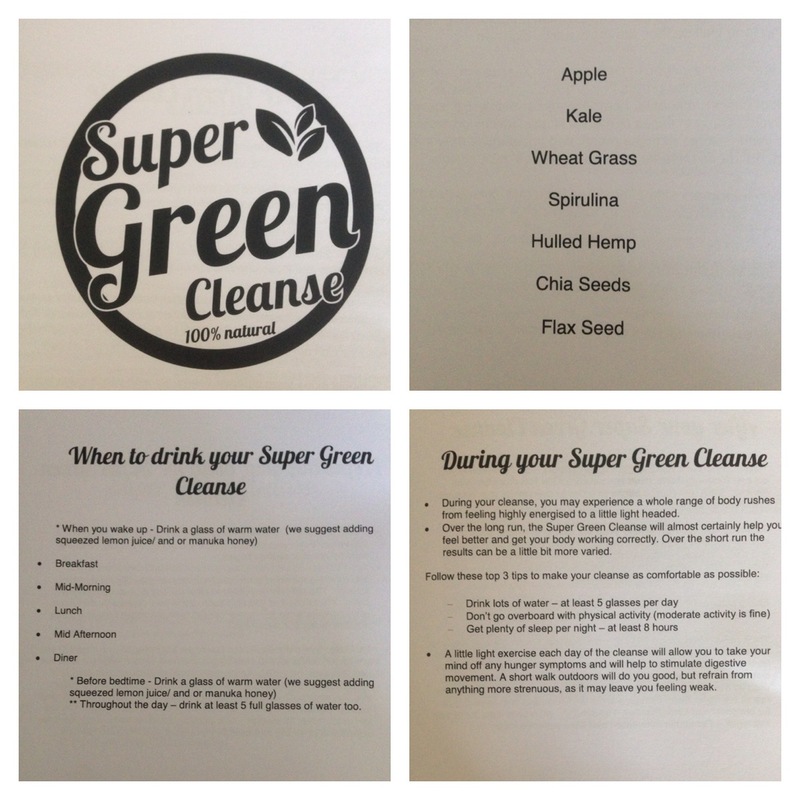 Once again I used a Groupon offer so the 3-day Super Green Cleanse was £59.99 which works out at £4 a bottle. The full price is £249.99 which works out at £16.66 a bottle. I don’t see how this cost could be justified for 15 green juices no matter how the juice is extracted. 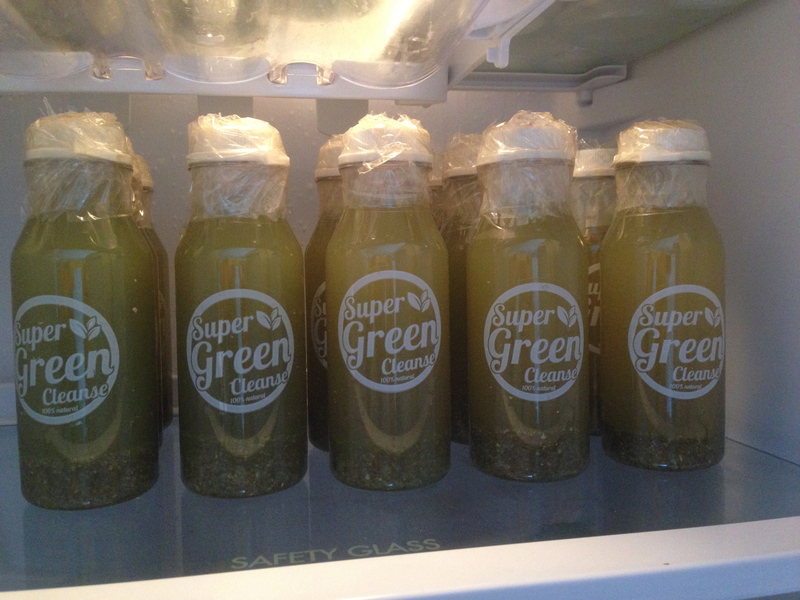 Does the Super Green Cleanse bottles last in the fridge? Yes, there doesn’t seem to be any oxidising and the lids are securely taped down with layers of sellotape. Would I recommend it? Yes but only at an offer price. I’ve loved this cleanse. Probably partially because they were green drinks. Overall I feel lighter, energised and have dropped several kilos. This entry was posted in Living, My health and tagged Dining, Juicing by AnnaGoAnna. Bookmark the permalink.